What is a public water supplier like the City of Ithaca required to test for? The Community Science Institute is a not-for-profit environmental organization based in Ithaca, NY, that has operated a New York State certified water testing lab since 2003. In addition to monitoring regional streams and lakes using a vast network of volunteer water monitors and testing water samples for the public, CSI aims to educate community members on when, how, and why you should test your drinking water if your water source is a private well. 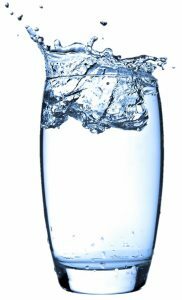 During Drinking Water Wednesday forums CSI staff and a Health Department representative will explain why testing your drinking water is important, what you should test for and under what circumstances, what testing entails, and how to interpret test results. Forums include a thirty minute presentation that will cover the most common tests including bacteria, nitrate, nitrite, and lead and will conclude with time for question and answer. Coupons worth discounts of 20% (all attendees) and 50% (financial hardship) off water testing prices, as well as the necessary bottles and accompanying paperwork, will be available at each forum. Drinking Water Wednesday forums will be held in Ithaca, Dryden, Newfield, and Trumansburg over the course of 2017 and 2018. Information on upcoming forums, including date, time, and location, can be found on CSI’s homepage in the News and Calendar sections prior to the event. Stay tuned for updates! We sat down with 95.9 WHCU’s Lee Rayburn to discuss what makes CSI unique, what to expect at Drinking Water Wednesdays, and more! Listen HERE! You can find presentations from past Drinking Water Wednesday forums and the answers to questions asked at forums below.